World’s Largest Newsstand, Now Available! 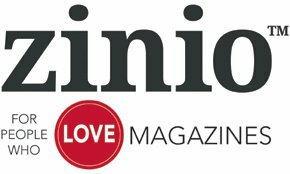 Customers of Windsor Public Library have now unlimited multi-user access to a selection of complete digital magazines, easily viewed on most internet-enabled devices, through Zinio for Libraries, the world’s largest newsstand! • read your magazines anytime, anywhere – either on your PC or Mac or on your mobile device. Apps are available on iTunes, Google Play, and Windows.